An unorthodox approach to the nature of immunity is presented differentiating it from reactivity. Immunity is a gestalt force, all to the good of an individual, staking the concept of auto-immunity ridiculous and rejectable. Reactivity is a vector force that may protect or persecute; it is basically concerned with restoring the integrity of the human body. The concept of cytologue amplifies the idea of integrity, and allows reactivity to fight a microbe, heal a wound, reject a graft, and gives rise to "auto-immune' disorders, by a concerted Cellulohumorovascular Response. Nifumic acid in the dosage of 250 mg four times a day and Phenyl butazone 100 nag four times a day were given to 30 classical cases of rheumatoid arthritis and 10 cases of osteoarthritis in a de­signed double blind cross over trial to find out the efficacy and side effects o f niflumic acid. 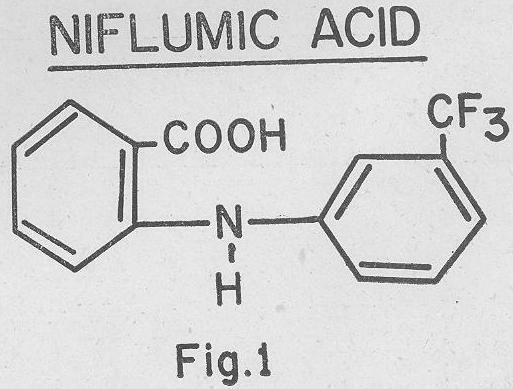 It was revealed that niflumic acid is a potent, safe and non-­steroidal anti-inflammatory agent, by different indices and para­meters used in the study. It was noted to be a better anti-inflam­matory agent than phenylbutazone in patient's own assessment, functional status and relief o f pain. It is practically devoid of side effects and with excellent gastric tolerance. 1000 school children between the ages of 5 and 10 years were screened for asymptomatic bacteriuria. These were healthy child­ren attending the school regularly. There were 120 girls and 810 boys. 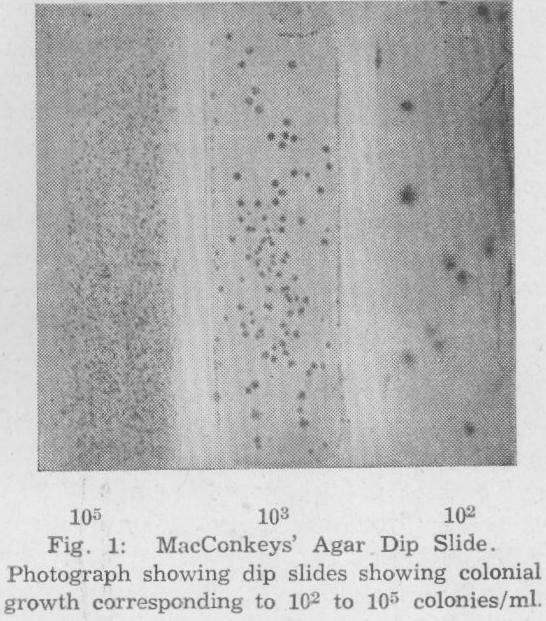 Dip slide method was used for urine cultures and Griess nitrite test was also carried out on all urine samples. Four out of 190 girls and 7 out of 810 boys showed asymptomatic bacteriuria giving an incidence of 2.1% for school girls and 0.8% for school boys and an overall incidence of 1.1% for all school children. E. colt was the commonest organism isolated followed by Klebsiella aero­genes. Results with the Griess nitrite test were discouraging. Plain X-rays of abdomen did not reveal any abnormality of urinary tract. Four out o f 11 cases were followed up for a period o f 6 months. None of these developed overt renal disease in the follow up period. Microagglutination of human spermatozoa was induced in vitro in a dose dependent manner by the addition of the ethinyl estra­diol to a serum with increased levels of β-lipoprotein. 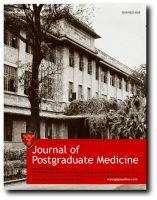 Surface changes in spermatozoa secondary to estrogens have been postu­lated; an analogues mechanism for the platelet changes in women on hormonal contraceptives is proposed. The effects of environmental and social factors on reproductive performance were studied. 664 General hospital patients (Group A) were compared with 207' private hospital patients (Group B). The data was analysed statistically. Mean age of marriage in Group B was higher than in Group A. No difference was observed in the spacing between the last child and present delivery. Previous reproductive loss such as abortions, still-births, neo-natal death rate and child-mortality was higher in Group A.. In present deliveries, the percentage of low birth weight babies was higher in Group A than in Group B. The nuclear type of family, poor state of housing, less per capita space available and hard work increased the inci­dence of low birth weight babies and mortality in Group A. Higher percentage of mothers with medical complications was observed in Group A which adversely affected birthweight and mortality. Awareness and favourable attitude towards antenatal and post­natal care and Family planning practice was less in Group A. Two hundred and fifteen women admitted with burns into the female surgical ward of the K.E.M. Hospital between July 1974 and February 1975 were studied. One hundred and thirty-seven women were discharged, out of which 79 women could be followed up and this paper is based on the data obtained from them about their socio-psychological re­habilitation. Analysis of these cases shows'that­ (a) Social adjustment of post-burns cases is a grave problem and well adjusted cases are few. (b) The main cause of non-adjustment seems to be physical disfigurement, especially of the face. (c) Physical disfigurement results in social non-acceptance, loss of job opportunity and feelings of inferiority. (d) Mental strain is collosal, as the mind is unable to accept a total change of life stale after the accident. A case of leprosy which presented in lepra reaction with pain­ful involvement of joints over a period of months with remissions and exacerbations is presented. The mechanisms by which leprosy ,nay cause painful joints are discussed. Attention is drawn to the concept that every case of "resistant or recurrent arthritis" should be scrutinised for evidence of leprosy. The case history of a 28 year old lady with diGuglielmo's syn­drome has been described. On admission, she had mixed myeloid and erythroid proliferation, but soon a picture of frank acute mye­loblastic leukemia developed. The blood coagulation and fibrino­lytic studies at admission revealed "Hypercoagulable State with insipient defibrination.